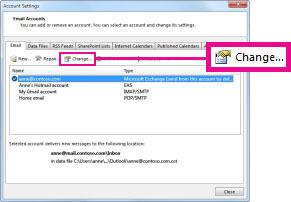 This KB explains how to fix an email account if it is not displaying any emails in the Outlook program on a Laptop with VPN. Step 2: Click on the Email Account under the Email Tab (There should only be one email), then click Change. Step 3: Under Offline Settings, uncheck Use Cached Exchange Mode. Step 4: Exit, and then restart Outlook.